Kendall Howard® work desks and benches provide customizable structures to allow users the ultimate flexibility when designing their workspace. Whether you need a work desk for an office or a computer lap bench for a classroom, the Kendall Howard® workstations provide versatility and style. Fortunately, there are many types of shelve structures you have to work with when it comes to the Kendall Howard® and LAN series. You will first want to think about how many people are going to be using this structure. Is it for a small group of people, like an IT work bench, or is it for a larger group, like a computer lab station desk? The great thing about these surfaces is their ability to assemble together and blend seamlessly. You will next want to think about whether or not you will need a top shelf. What are you using your workstation for? How many items will it need to hold? A top shelf can add extra surface space to store items and equipment, but no top shelf can give the desk a cleaner look. 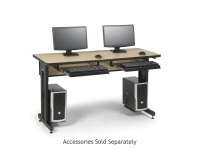 Kendall Howard® LAN workstations and benches provide both options, each with the choice of either a half bottom or a full bottom. 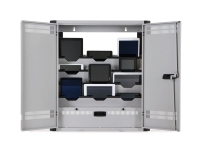 Full bottom LAN workbenches provide some extra storage space should you need it; half bottom workbenches provide extra legroom. You may also want to look at some accessories for your workstation. Depending on what purpose you are looking to serve with your Kendall Howard® workbench, you may need to purchase some supplementary add-ons to suit these needs. From accessory bars to power strips to CPU holders, we provide a range of products for your benefit. For example, if you were looking to buy a computer workstation (like an Internet technician workstation) you may also want to purchase a keyboard tray to tuck your keyboard away when not in use. Buying the keyboard tray alongside the IT work station will save you time and effort, as you will likely need to purchase a keyboard tray later on anyway. How steady is my computer workbench? Will it break under heavy weights? 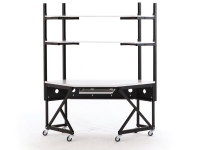 Each workbench can hold up to 1,000 lb., so you do not have to worry about the surfaces being too flimsy. Can I customize the appearance of these shelves? Yes! Each shelf comes in a range of sizes and colors for you to choose based on your environment's aesthetic. Sizes are designed for practical use and are easily connectable; they are available in 24", 48", 72", and 96". Colors include Hard Rock Maple, Caramel Apple, Serene Cherry, African Mahogany and Folkstone. Is it difficult to assemble the shelves? Not at all. 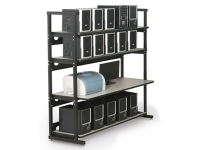 All of our workstations assemble in less than 30 minutes and are very user-friendly. 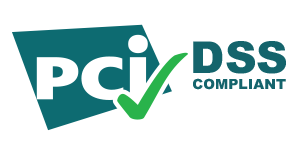 They also provide many different options and variations to suit your office or classroom's specific needs. 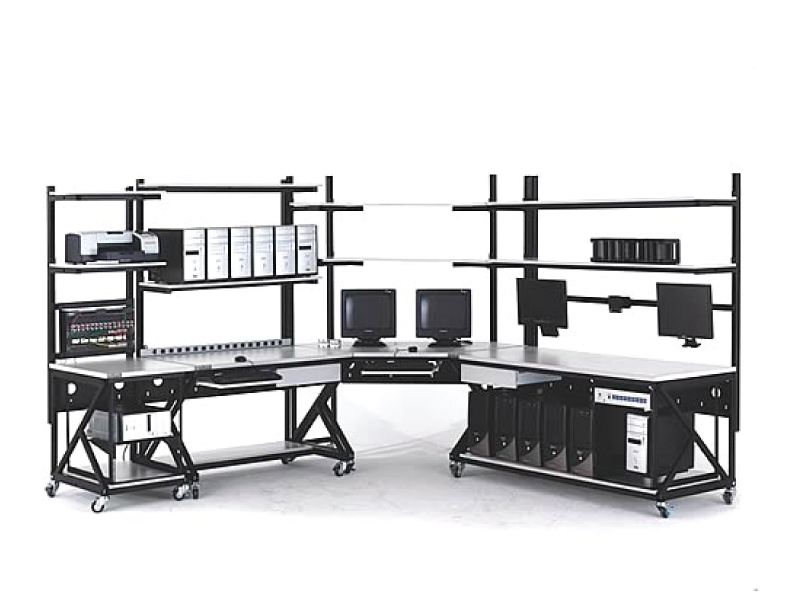 Whether you're looking to redecorate your personal office or plan on setting up an entire classroom lab, Kendall Howard® LAN workstations and accessories are an affordable, safe option. Charge 8 to 12, 12" Tablets or Laptops - Locking Doors.